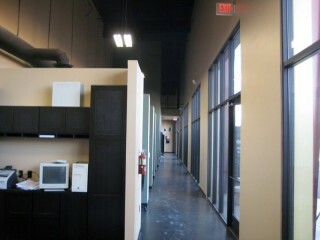 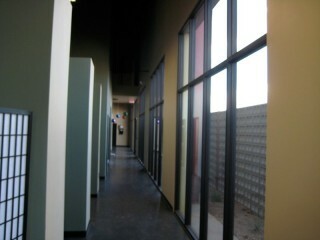 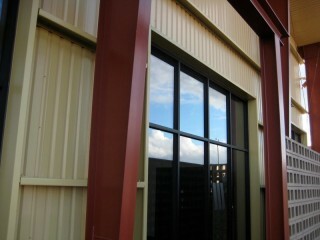 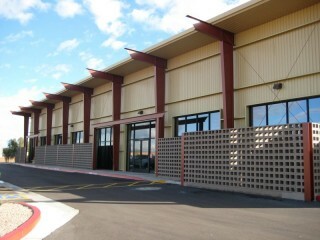 This is Plasma Glow's headquarters which is an industrial prefabricated steel building located in Mesa Arizona. 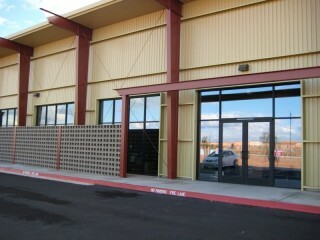 To keep the cost down but the air conditioning/electric bills up the owner decided to install Arcadia's AR450 2" x 4-1/2" center set storefront system with 1/4" clear glass. 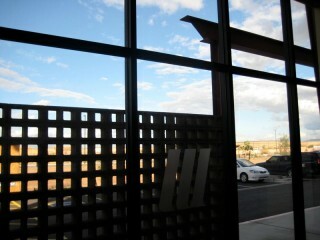 After a few sunburned and dehydrated employees complained, the owners contracted us to install a special commercial grade 3M reflective window film in efforts to keep the heat and sun off of his employees.